Executive Cars (Cheshire) is owned by Barry Dickinson, a former advanced Police driving instructor and former examiner with The Institute of Advanced Motorists. 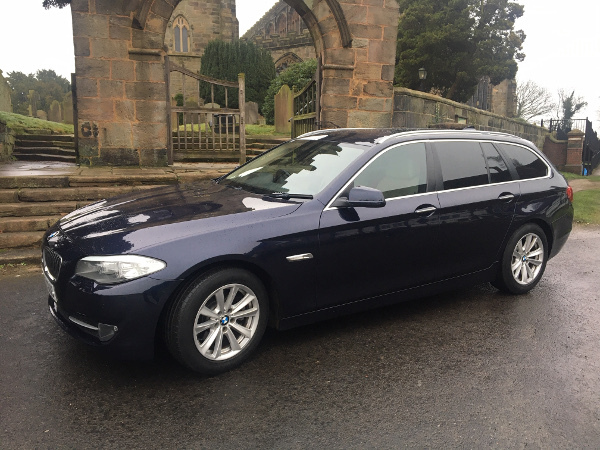 He has over 12 years experience in the chauffeur business and will offer his own personal service or that of one of his carefully selected advanced drivers to ensure you have a safe, smooth and comfortable journey, providing you with the highest level of organisation, reliability and efficiency. All drivers have an extensive knowledge of the North West of England and are familiar with most of the major UK cities and the entire motorway network. Executive Cars (Cheshire) professional chauffeur service is available for day and/or evening hires. Special Occasions - arrive at your destination in style, whether it is a trip to the theatre, a sporting event or concert - leave the driving to us - just enjoy yourselves. Weddings - An ideal vehicle for your wedding transport requirements. Business Travel – instead of travelling on a noisy train or driving stressful miles to your appointments, why not travel stress free and arrive relaxed. Airport Transfers - why wait for a taxi to and from the Airport, book a reliable chauffeur driven vehicle with the knowledge that you will arrive at your destination in good time and in comfort. Executive Cars (Cheshire) regularly takes clients to and from all major airports including Manchester International Airport, Liverpool John Lennon Airport, Birmingham International Airport and East Midlands Airport. for a Professional, Reliable, and Experienced Chauffeur Service for any occasion.